Antibiotic resistance is one of the biggest threats to global health, food security, and development. According to the World Health Organization, immediate changes are needed to prevent a post-antibiotic era when simple—and previously treatable—bacterial infections can kill and when routine medical procedures, such as joint replacements and chemotherapy that rely on antibiotic preventative treatment, will no longer be possible. November 12-18, 2018 is World Antibiotic Awareness Week, which coincides with U.S. Antibiotics Awareness Week, an annual one-week observance to raise awareness of the importance of appropriate antibiotic use to combat the threat of antibiotic resistance. The Southern Shrimp Alliance, which represents U.S. wild-caught shrimp fishermen and processors, is proud to support these efforts. All of the top antibiotics used in aquaculture are included on the World Health Organization’s list of critically/highly important antibiotics for human health and the number of publications linking drug-resistant bacteria to seafood has increased by 800% over the past three decades. Antimicrobial resistance from environmental pollution is among the biggest emerging health threats according to the United Nations Environment Programme (UNEP), which found that up to 75% of antibiotics in aquaculture can be lost into the surrounding environment, leading to antimicrobial resistance. 1. Shrimp is America’s favorite seafood. Ninety percent is imported, the majority of which is farm-raised. 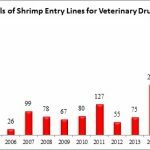 While the U.S. shrimp industry produces primarily wild-caught shrimp, foreign aquaculture production has nearly tripled in the last two decades, bringing with it a significant increase in the use of antibiotics. 3. Since 2016, FDA has rejected shrimp from nine countries due to findings of banned antibiotic residues. Nearly 90% of the shrimp refused by FDA for antibiotic contamination came from three countries: India, China, and Vietnam. 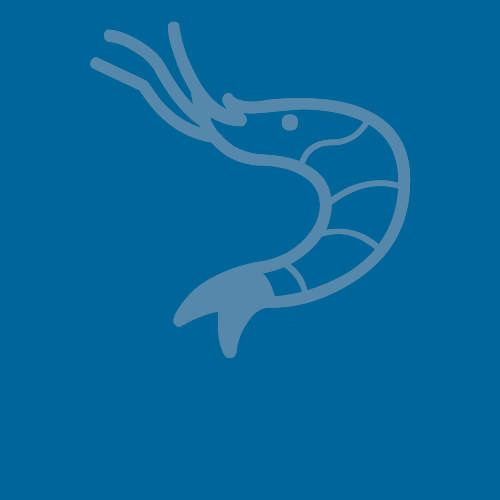 India is the largest supplier of shrimp consumed in the United States, representing one third of the U.S. market—which is up dramatically from six percent of shrimp imports in 2010. 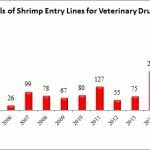 Yet, since 2016, the majority (51%) of entry lines of shrimp refused by the FDA for either salmonella or banned antibiotics originated from India. 4. Through October of this year, the FDA has refused 181 seafood entry lines for banned antibiotics, of which 149 – or 82.3% – were from China. In the six years between 2012 and 2017, the largest number of Chinese seafood entry lines refused for banned antibiotics was 110 in 2015. Thus far in 2018, the amount of refusals from China has greatly surpassed previous years. 5. 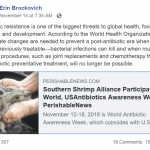 Canada, the European Union, Switzerland, Australia, Japan, and Korea have all taken actions—often more significant than the U.S. government’s—to eliminate antibiotic-tainted shrimp from their food supply. 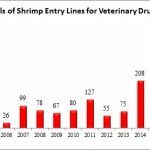 This makes the United States the largest and most open market for shrimp contaminated with banned antibiotics. As the result of an April 2018 audit on Indian aquaculture, the European Commission recently recommended expanding the scope of their testing to encompass four types of antibiotics generally not tested for by regulatory authorities in major seafood-importing countries. These classes of antibiotics have important therapeutic applications that are endangered by development and emergence of antimicrobial-resistant bacteria.